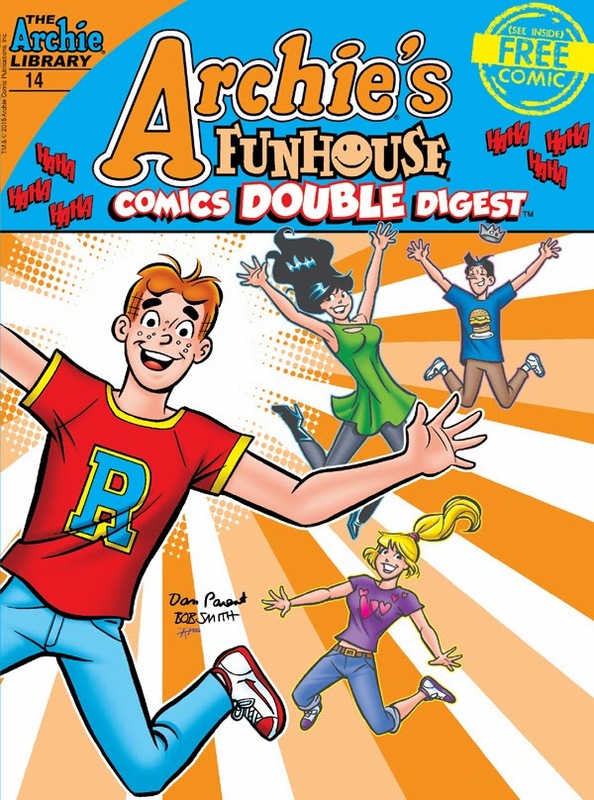 A multi-part story? 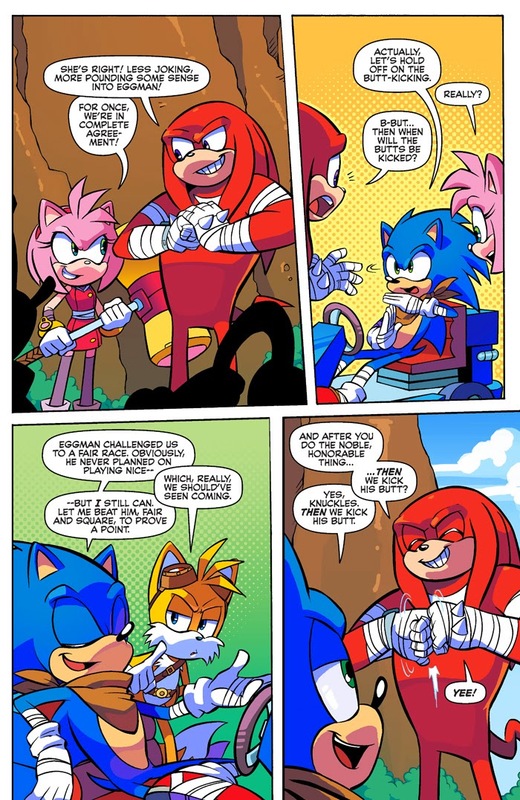 In MY Sonic Boom comic?? You got that right! 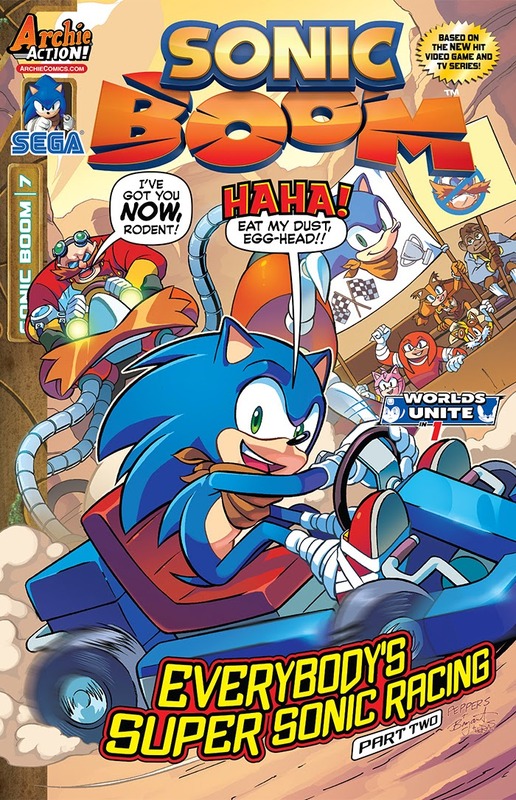 It's wacky-racin' adventure in "Everybody’s Super Sonic Racing" Part Two: Dr. Eggman’s fun and “friendly” go-kart challenge has turned deadly! But, really, who didn’t see that “twist” coming? 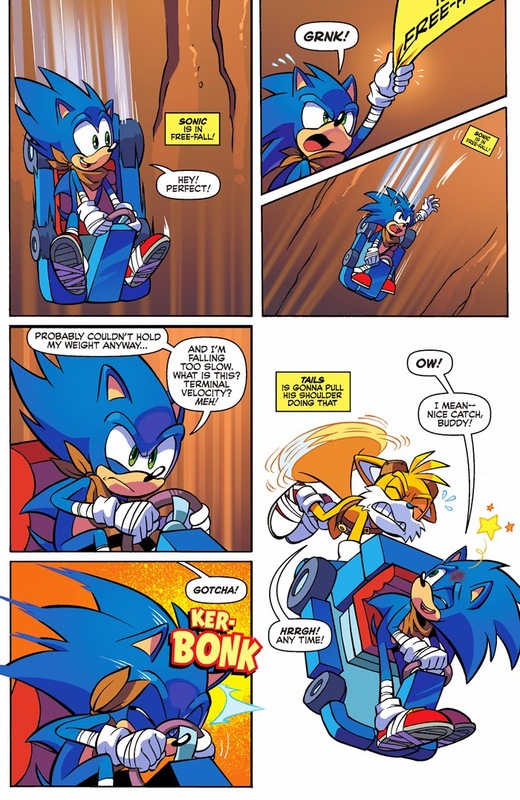 Can Sonic salvage the race and prove to the bad doctor he can win fair and square? 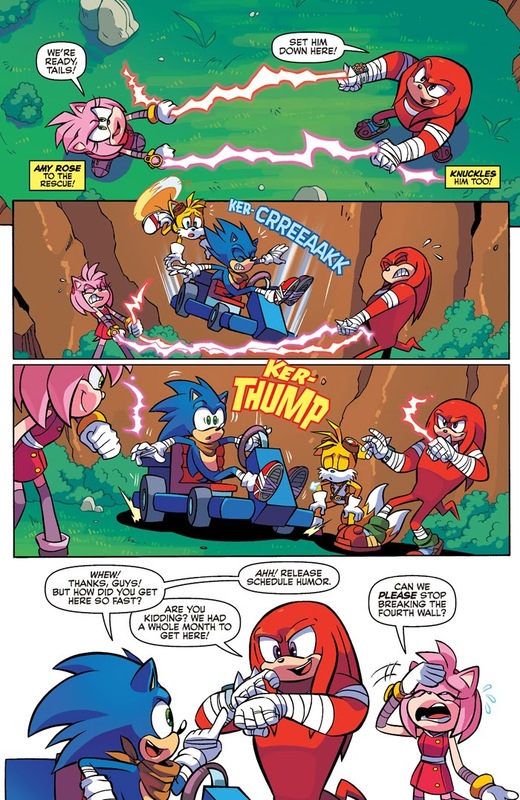 More importantly—can Sonic survive long enough to return to the race course?! 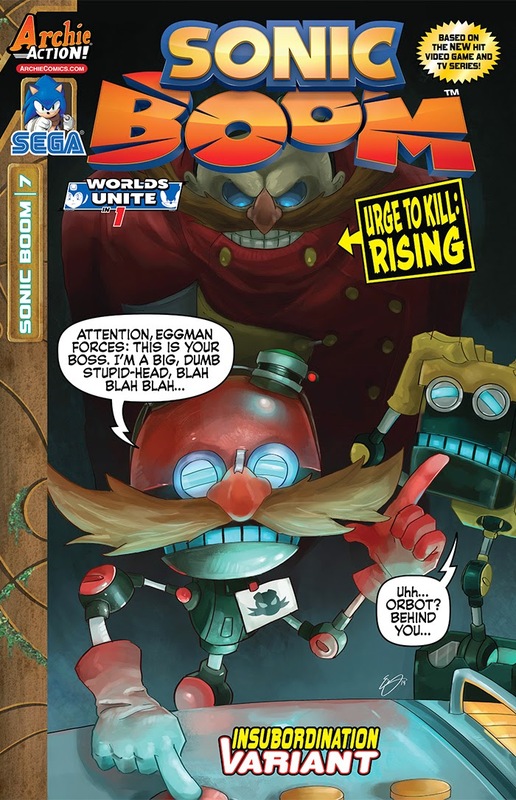 Discover the fate of life, limb and ego in this super-fast story with cover art from Sonic comic fav Jamal Peppers, and an all-new "insubordination" variant cover from painter Erik Ly! 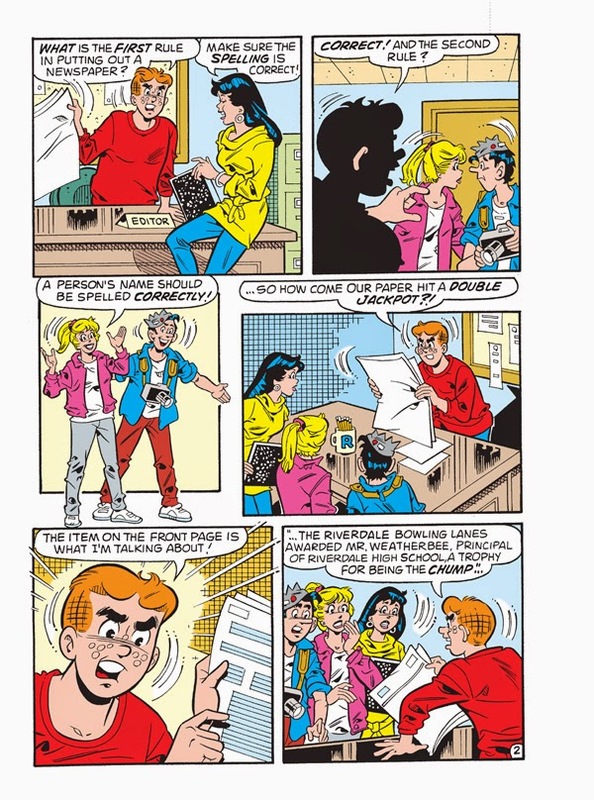 …And BOOM goes the dynamite! 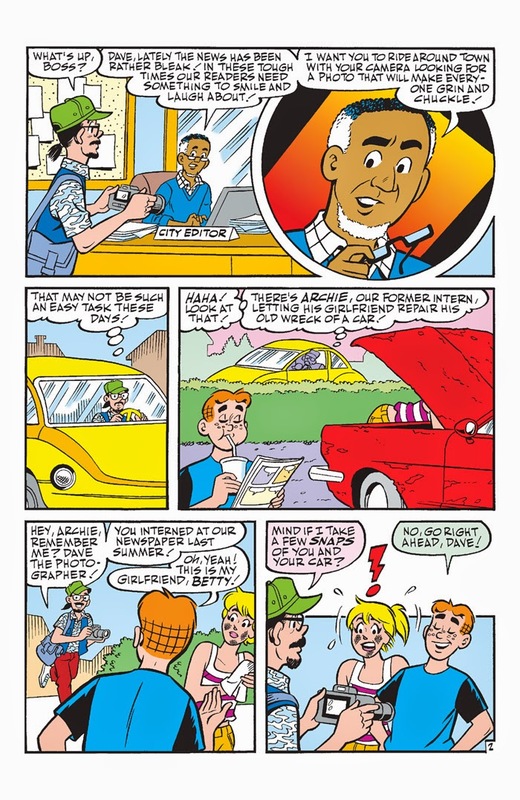 Archie finds out about a special contest being held in Riverdale: a scavenger hunt, the winner of which gets an all-expenses paid party with DJ and food for 20 friends! The first person to the radio station announcing the concert with all the listed items by 5:00 wins... and it’s 3:30 now! 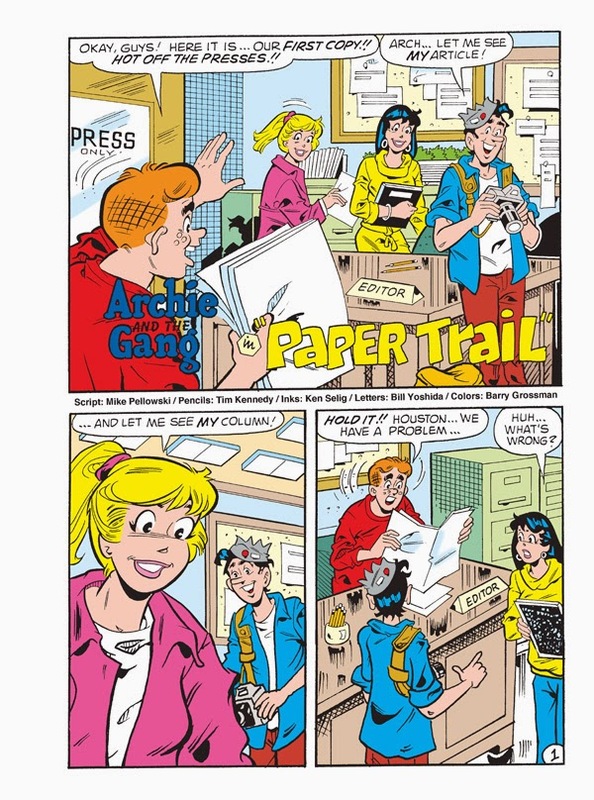 Archie is determined to win! 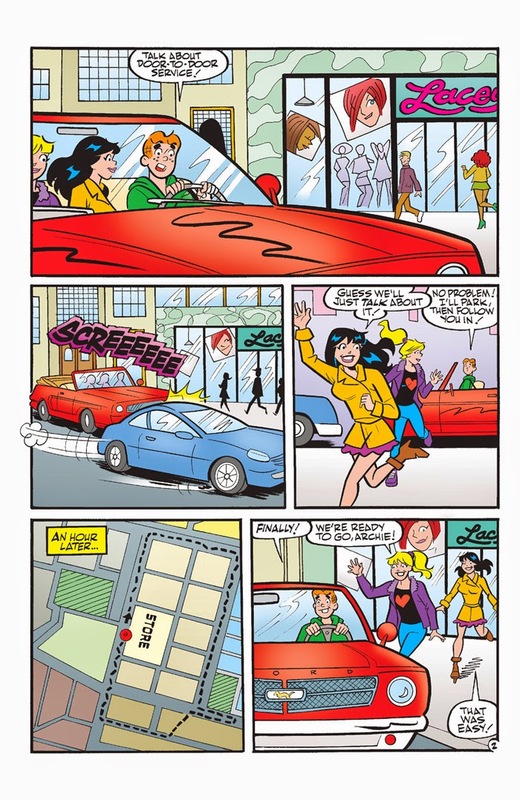 Will he make it in time and hold the most ultimate party ever held in Riverdale? 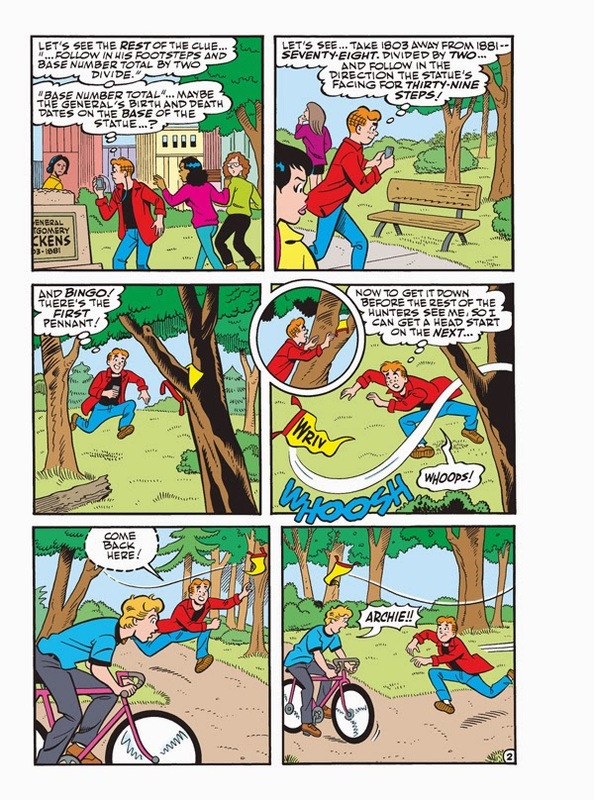 Or will too many obstacles get in his way? 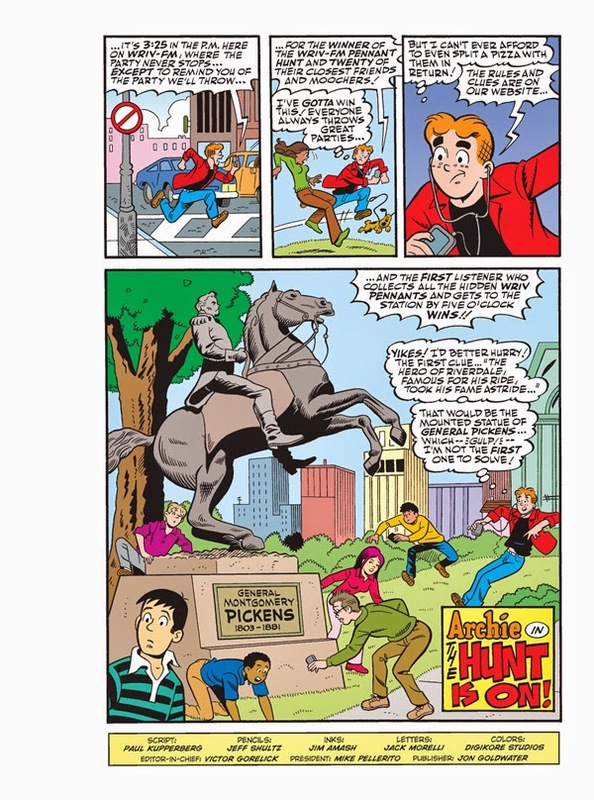 Find out in “The Hunt is On!” the fun lead story to this Comics Double Digest! 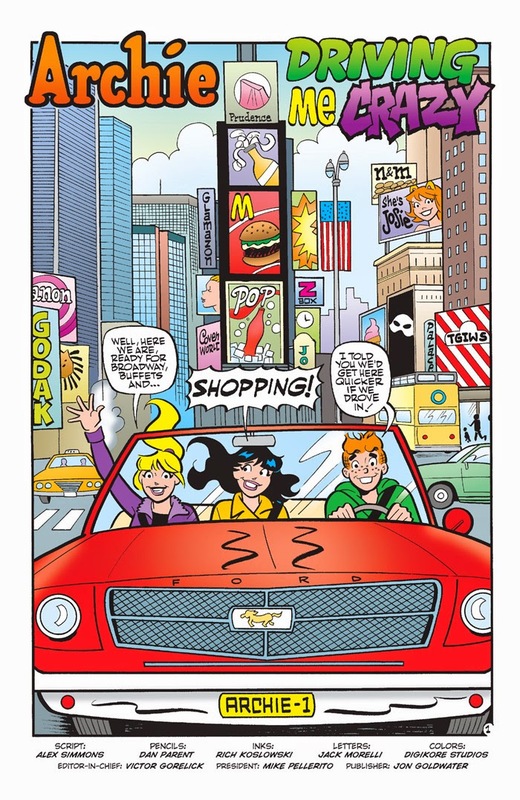 Take a drive in Archie’s run-down ride in this new digital exclusive collection! 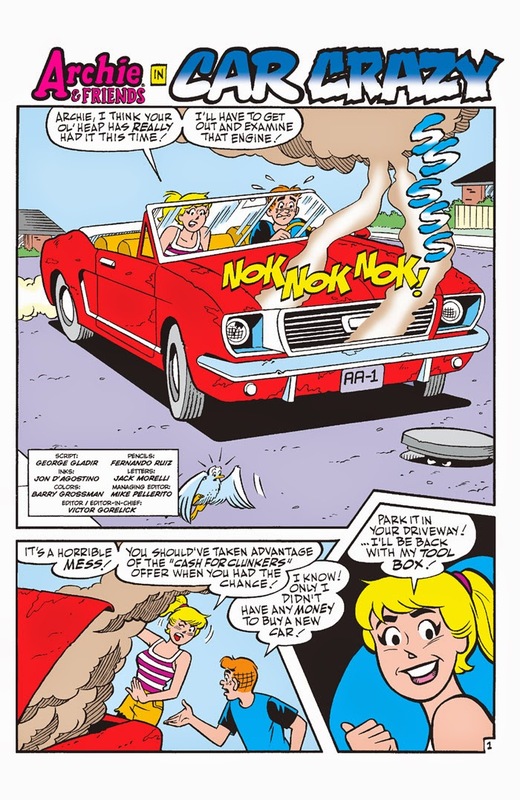 Even though Archie traded in his battered old jalopy, he hasn’t been able to shake his misfortune with cars! 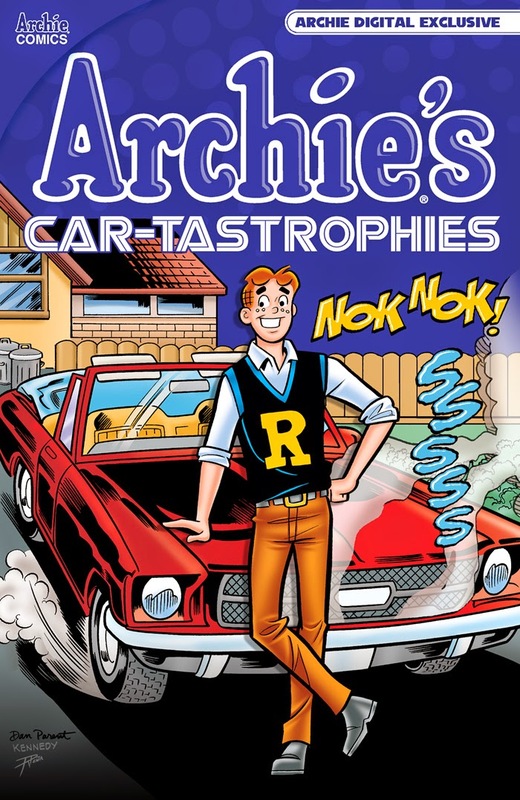 Join Archie and the rest of the Riverdale gang in this collection of car catastrophes. Maybe someone should just buy him a bus pass!